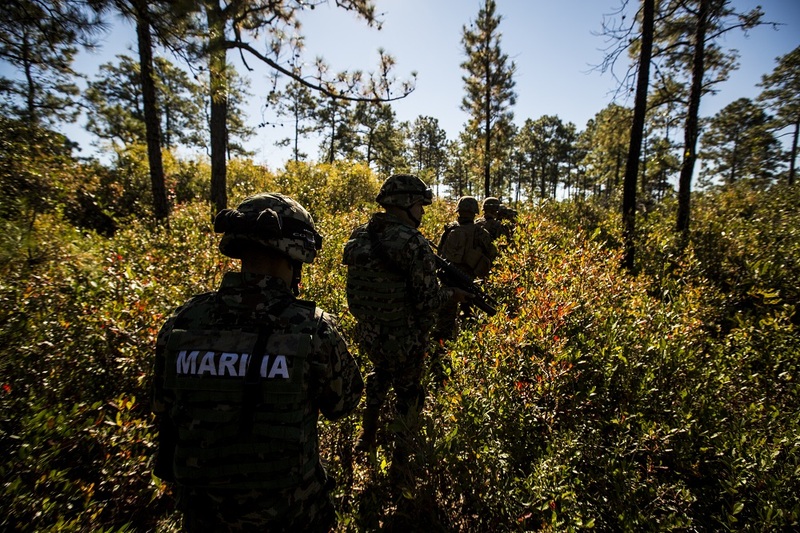 The ongoing decline of the Gulf Cartel and the Zetas has left northeastern Mexico without a single dominant criminal force. But the crime groups’ longstanding rivalry has continued to see blood spilled in the key trafficking region. On the surface, the state of play in Mexico’s northeast is as it has been for most of the past decade: Both the Gulf Cartel and the Zetas maintain tight control over different parts of Tamaulipas — the crucial border state that birthed both groups — but neither is strong enough to defeat the other. Government forces, particularly the marines, have maintained a degree of consistent pressure on crime groups operating in Tamaulipas. A major financial operator of the Gulf Cartel, who was also on the DEA’s most wanted list, was detained in Mexico City in September. The same month, a leading figure in the Cartel of the Northeast, an offshoot of the Zetas, was arrested as well. Authorities have also targeted a raft of assets belonging to these groups, ranging from casinos to safe houses. The government offensive, combined with other factors, has left a tangle of different cells aligned with the two groups scattered around Tamaulipas, which includes two of the largest border crossings in Mexico, Reynosa and Nuevo Laredo. According to a May report from Milenio, seven cells of the Gulf Cartel are fighting three Zetas cells for dominance in the state. The Gulf Cartel cells tend to concentrate within specific cities, suggesting a degree of independence. And in recent months there have been reports of internecine battles among different Gulf cells. The region has also seen the emergence of Zetas splinter groups, such as the Cartel of the Northeast, which first cropped up in 2015, though none of these appear to have displaced either cartel. Though weakened, the Gulf Cartel and the Zetas also remain key actors in large swaths of Coahuila and Nuevo Léon, two border states just west of Tamaulipas. In one key portion of the Gulf region, however, the calculus is a bit more complicated. The Zetas have long dominated Veracruz, the populous state with ample Caribbean coastlines just south of Tamaulipas, while the Gulf Cartel never enjoyed as much of a presence there. The Zetas’ control has nonetheless been tested by a multitude of factors, particularly the incursion of the Jalisco Cartel New Generation (CJNG). The group — which formed out of the embers of late Sinaloa Cartel boss Ignacio Coronel’s organization and has made in-roads in regions around the country — has been engaged in a battle with the Zetas in Veracruz for most of 2017. One of the CJNG’s earliest public appearances as a group was styling itself as the Zeta Killers, publishing videos from Veracruz in the early 2010s. In that sense, the CJNG appears to have returned to its roots, and it represents a far formidable ally than the Zetas’ rivals in other parts of the northeast. Not coincidentally, public security has declined in Veracruz far more dramatically than in other northeastern states. The number of murders in Veracruz rose from 487 in 2014 to 1,258 in 2016, and the figure is on pace to jump to more than 1,600 this year, an increase of more than 300 percent in just three years. In contrast, the total number of murders in Tamaulipas is on pace to be around 700 for 2017, a relatively mild increase since the 2014 total of 628. In Nuevo León, the figure is projected to jump from 490 in 2014 to around 650 this year. In Coahuila, the number of murders this year will likely register a decline of nearly 40 percent since 2014. One of the explanations for the anomalous spike in violence in Veracruz may stem from the Zetas unique level of interconnection with the recently departed state government, formerly headed by ex-Governor Javier Duarte. While criminal organizations have long paid government officials for their support, in Veracruz, the line between the Zetas and the Duarte government was blurred, with the government often deployed as little more than a mere offshoot of the crime group. The scandal surrounding Duarte’s tenure, which ended in 2016, has placed a bullseye on the Zetas’ operations, and there is evidence that government forces have redoubled efforts to bring the group to heel in Veracruz. This simultaneous collapse of the political regime — Duarte was replaced by an opposition governor for the first time in Veracruz’s modern history — and the dominant criminal power appears to have left a vacuum of chaos in the state. With so many new actors on the scene and so many different factors at play, it is unlikely that an enduring balance of criminal power will fall into place in Veracruz, meaning the current bout of bloodshed could continue and perhaps even worsen.